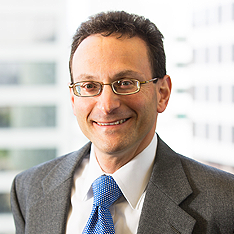 Brad Kaplan focuses his practice on complex commercial and business litigation matters, including products liability litigation, real estate litigation, chemical and toxic exposure cases, and business tort actions. Mr. Kaplan also represents plaintiffs and defendants in commercial actions including unfair trade practices, deceptive advertising, interference with business relationships, and breach of contract/lease claims in a variety of industries. His strength lies in his ability to evaluate a case and place it into a procedural posture giving his client a tactical advantage toward settlement or trial. Mr. Kaplan has been AV rated by Martindale Hubbell since 2001. Mr. Kaplan holds the rank of Lieutenant Junior Grade with the United States Naval Sea Cadet Corps, a national youth group with the goal of teaching kids and young adults about honor, discipline, leadership and camaraderie in a maritime (Navy, Marine Corps and Coast Guard) environment. He is the Executive Officer for the PYRO Division of the Sea Cadets based out of the United States Coast Guard Training Center in Petaluma, California.